In our ongoing effort to help our patients achieve the very best dental health, we are excited to announce our “in house” Big City Dental Savings Plan for our patients without dental insurance. This is a new and different approach to our patients’ dental health benefits which offers an alternative approach to the traditional, complicated, and inadequate dental insurance. Lack of insurance does not mean affordable, high quality dental care is out of your reach. No unknown third party and no mega insurance corporation will be deciding what care you are allowed; just you and your doctor will be deciding what is best for you. 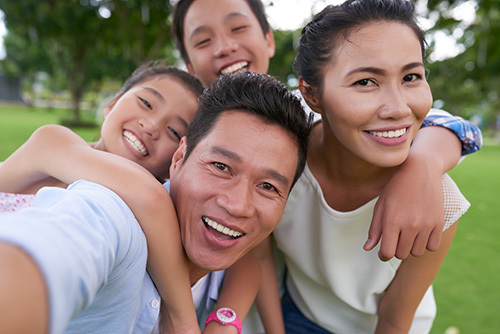 A prepaid membership dental savings plan delivers additional value by eliminating monthly premiums, deductibles, and co-pays for preventative care. For patients who do not currently have dental insurance, it provides an economical way to get care they otherwise could not afford. Not every dentist offers a practice membership plan that trumps insurance benefit maximums, but Big City Dental does. THIS IS A DENTAL SAVINGS PLAN, NOT A DENTAL INSURANCE PLAN. PLEASE CALL AT 773-281-8989 FOR MORE INFORMATION OR ANY QUESTIONS. All dental treatment completed within 12 months of enrollment will be discounted by 15% if paid in full at time of service. This includes elective cosmetic procedures like teeth whitening, crowns, and veneers! This savings plan is only honored at Big City Dental, Ltd.